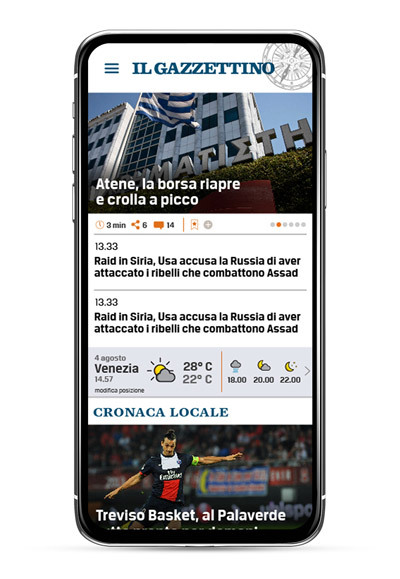 The project is structured in three parts: the printed newspaper, the website and the smartphone app, organized together in order to refresh and digitalize news, giving a new way to create and spread informations. 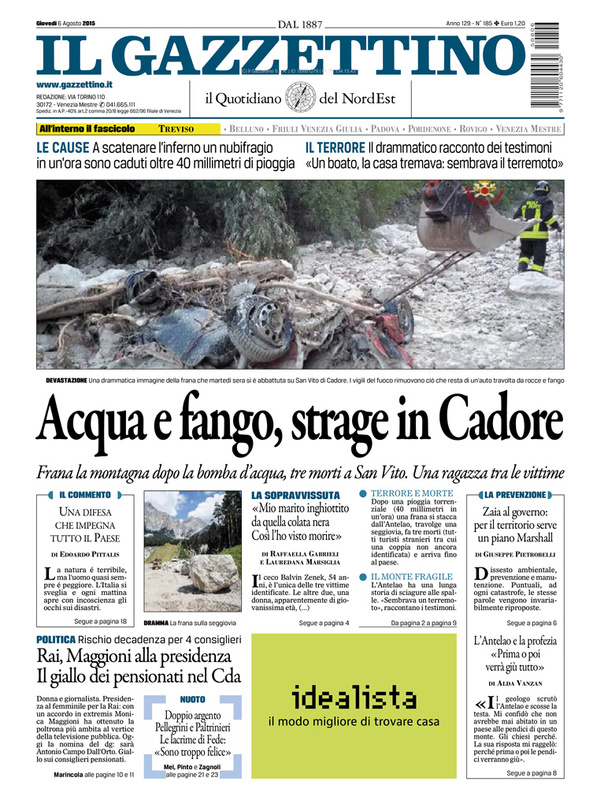 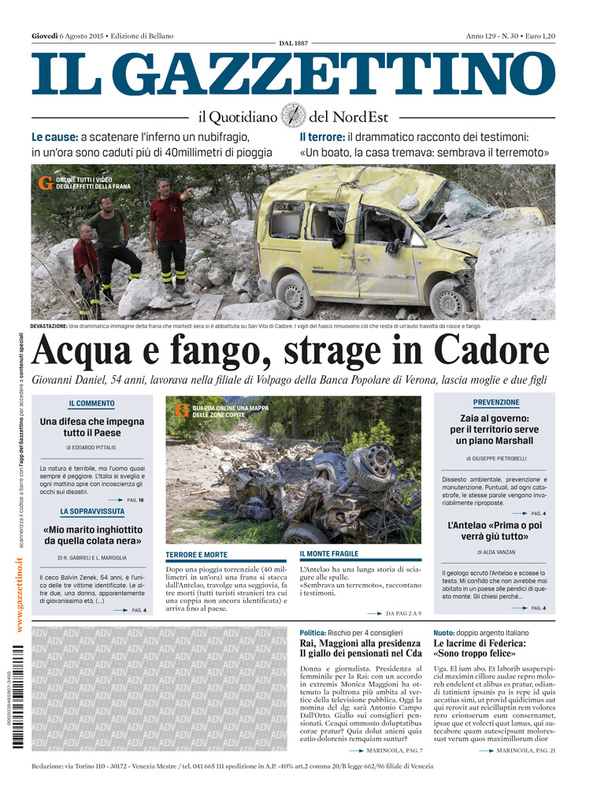 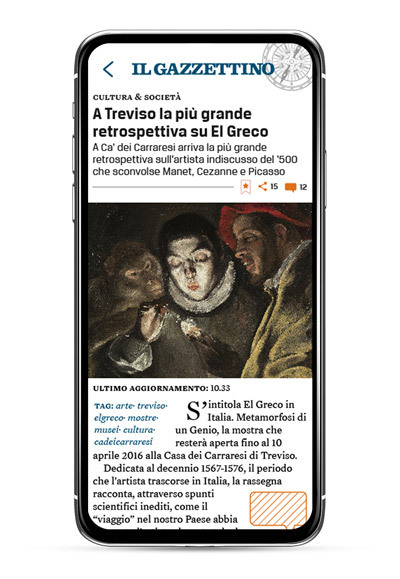 The strong point of the new Gazzettino is to offer, for the digital part, a user tailored newsfeed based on the reader’s interests, age and location. 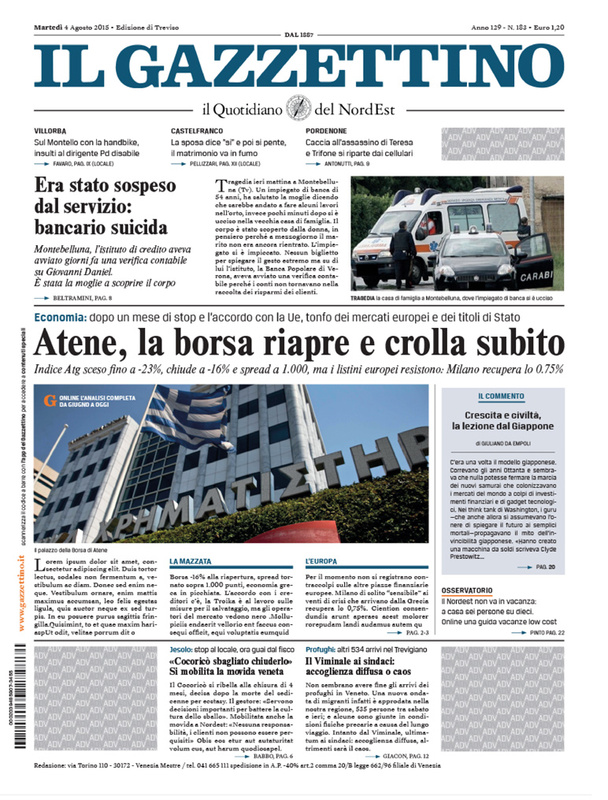 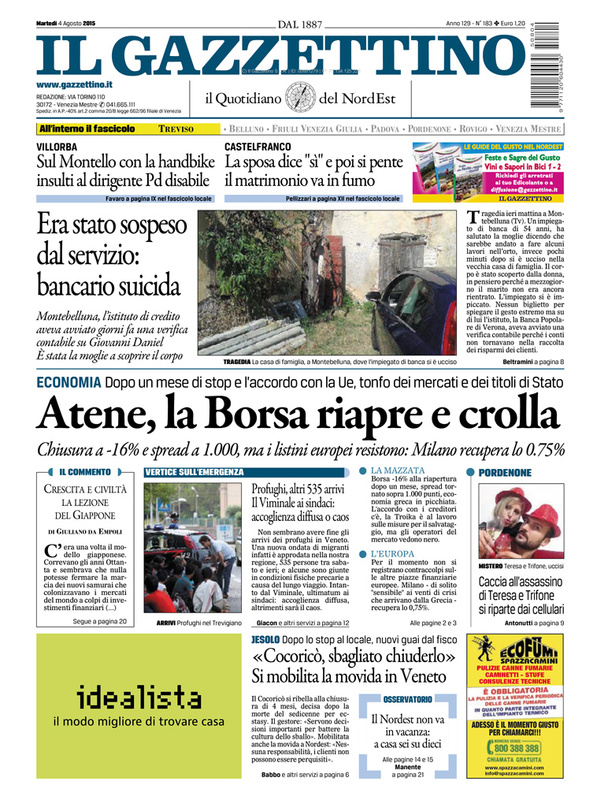 The first page have been redesigned in order to put both headlines (local and international) on the top half part of the front page, so they are visible also when it is folded (typical way of selling newspapers at the kiosk). 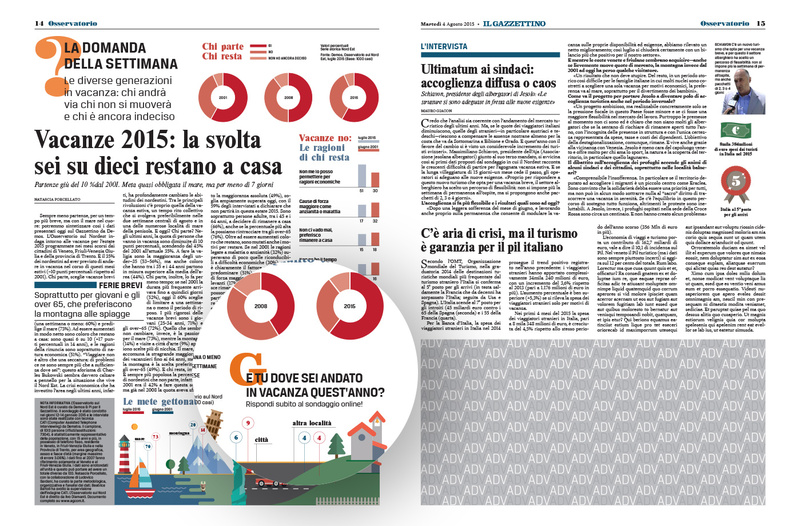 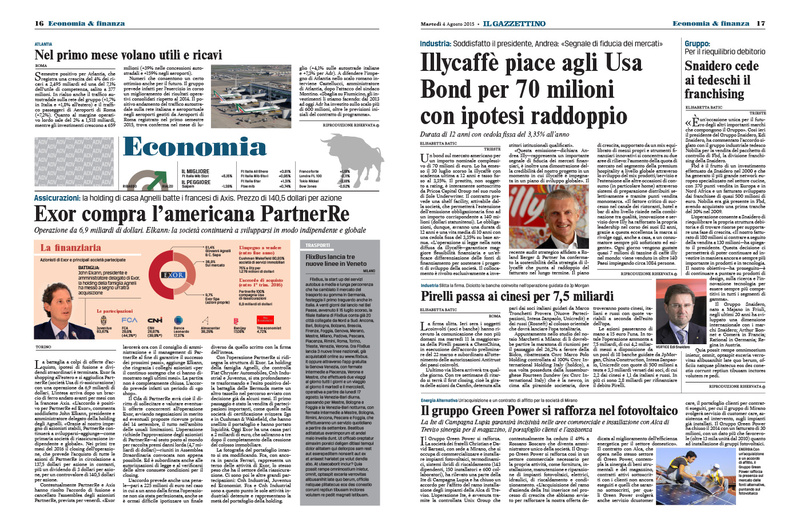 The time is the key element that guided the restyling; a more visual newspaper with news that jump out to the reader who can quickly understand the main topics also without an in-depth reading. 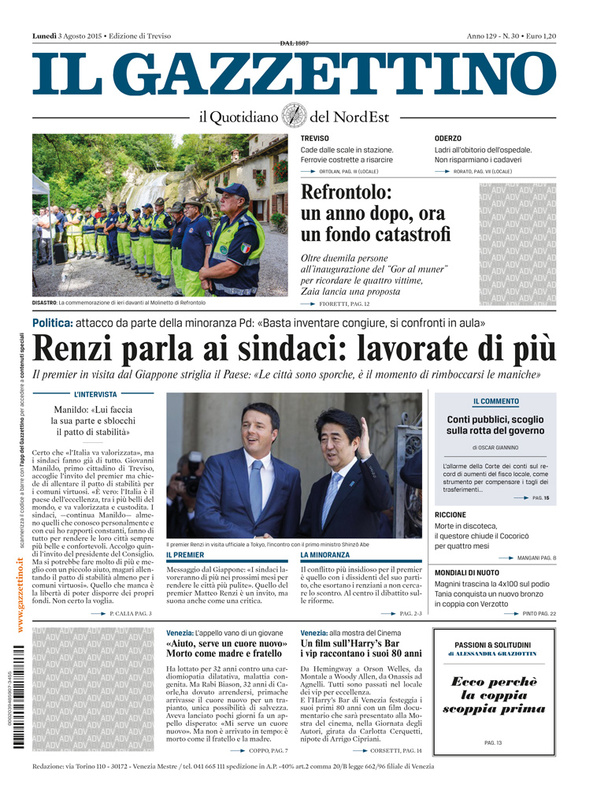 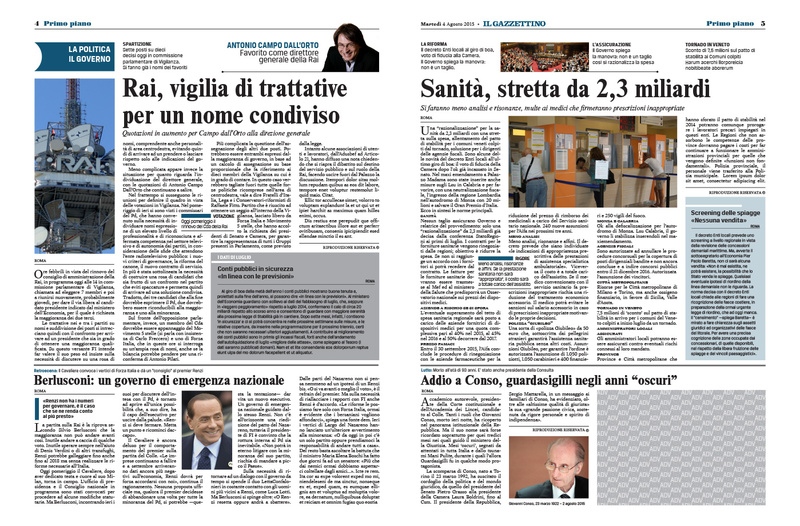 The printed newspaper is improved of digital content highlighted by the orange colour. 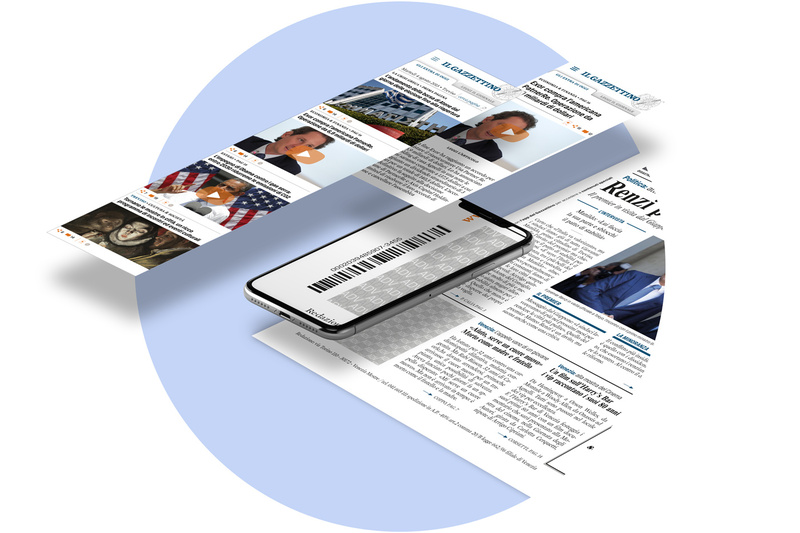 Through the app is possible to scan the barcode on the front page and get more multimedia contents such as videos, photos and in-depth articles. 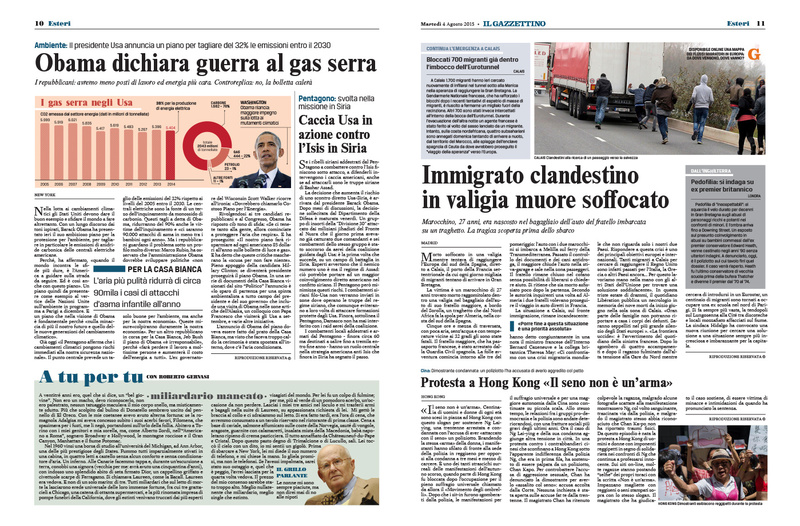 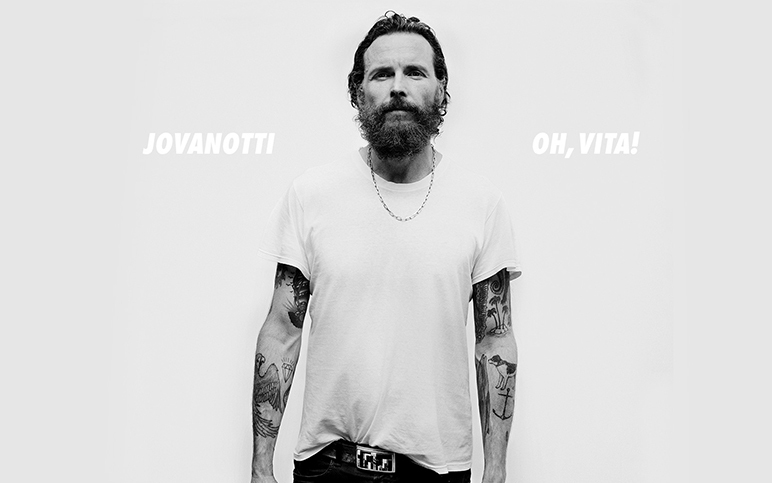 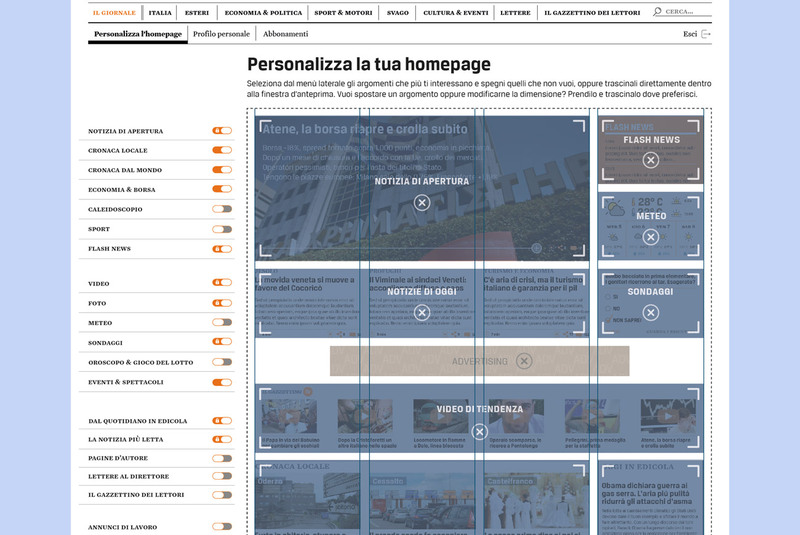 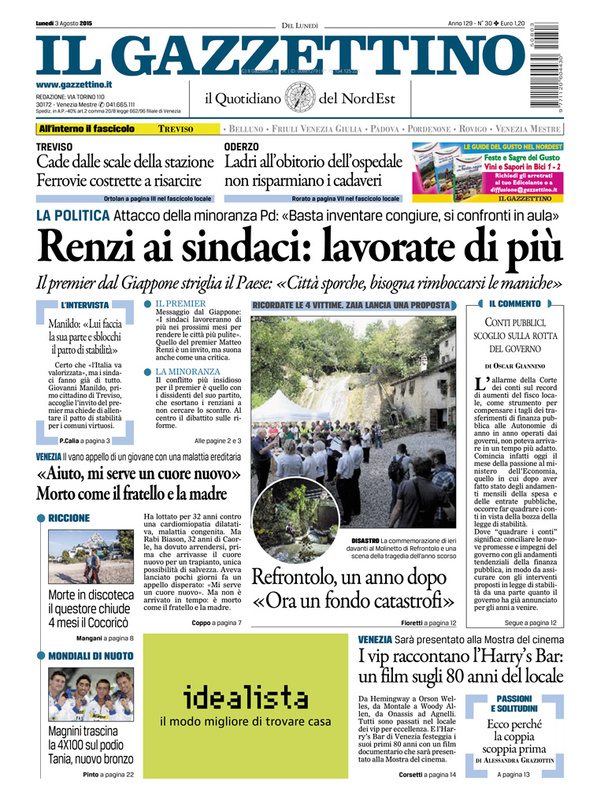 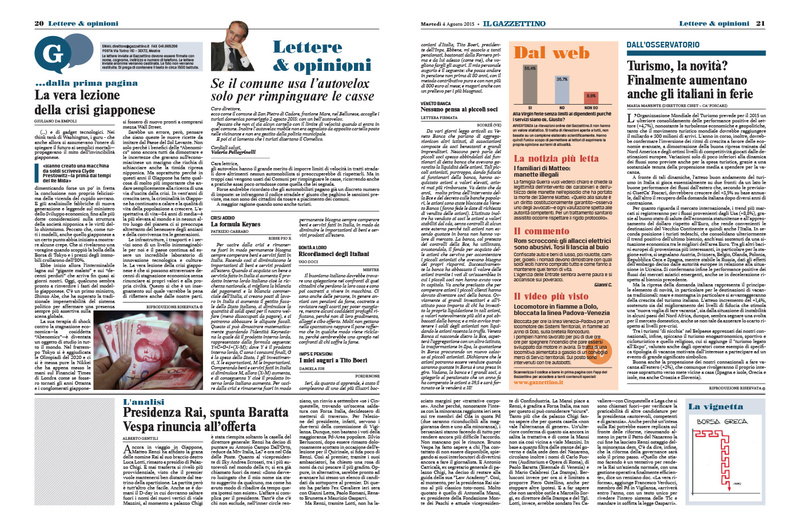 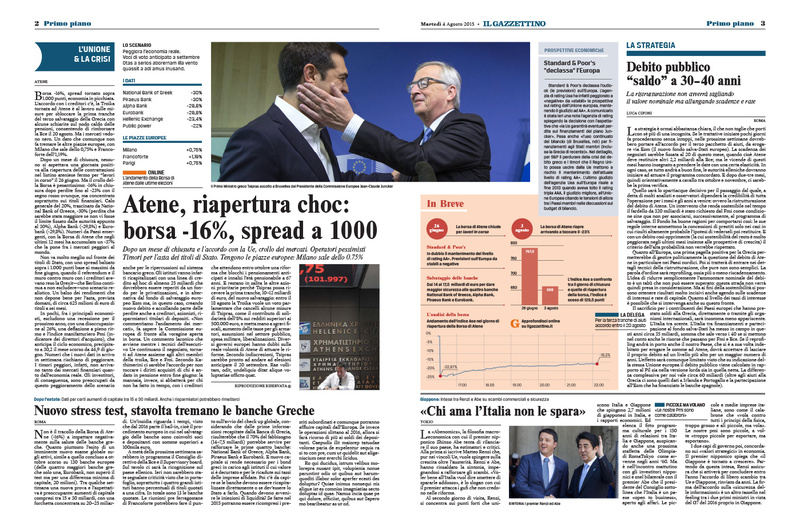 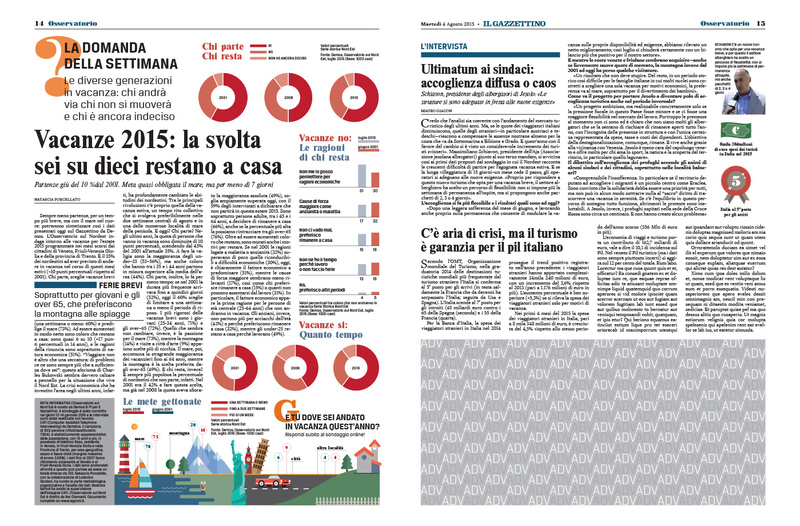 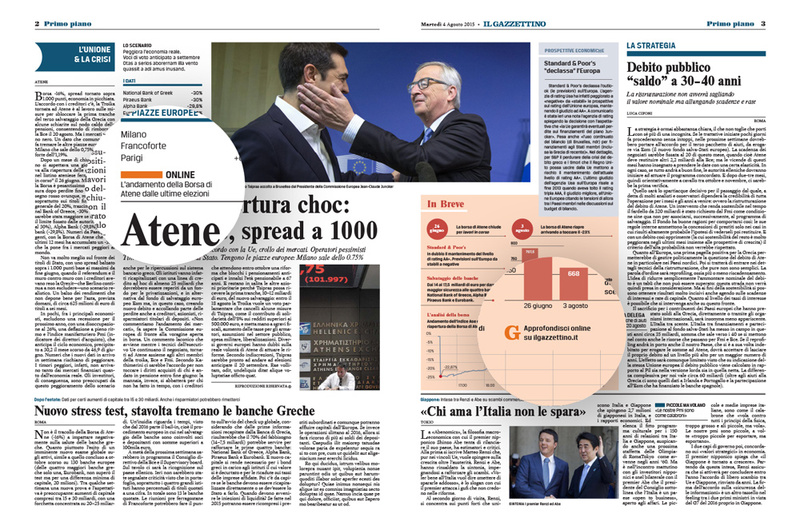 The new Gazzettino.it offers a personalized homepage for every user. 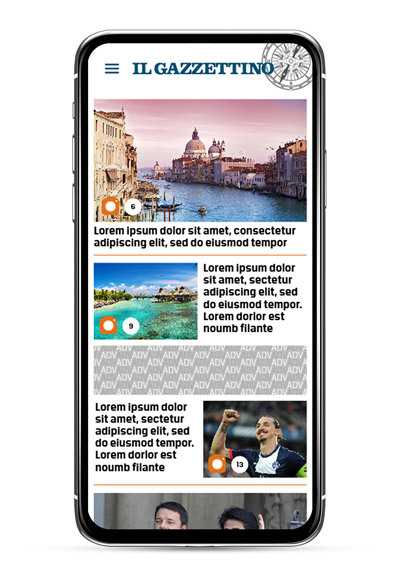 The customer have the possibility to customize his homepage depending on his interests and preferences. 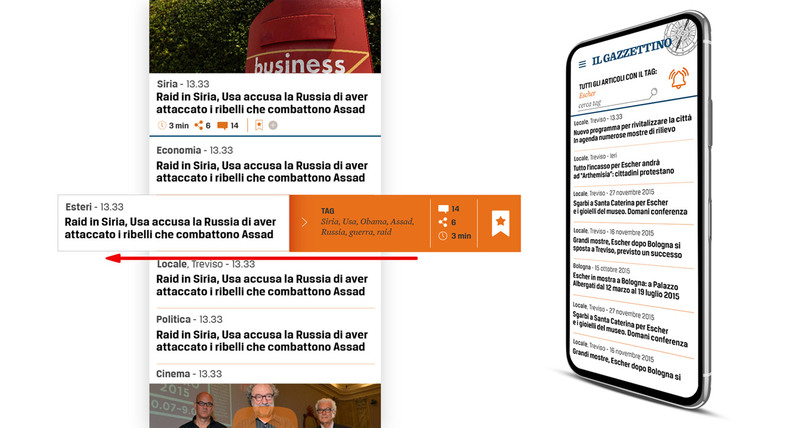 Trough the control panel is possible to drag and drop the several modular boxes that create the homepage.